Here’s a picture of what I got to unload this morning at 7:00am, in a rural part of Surrey, B.C. 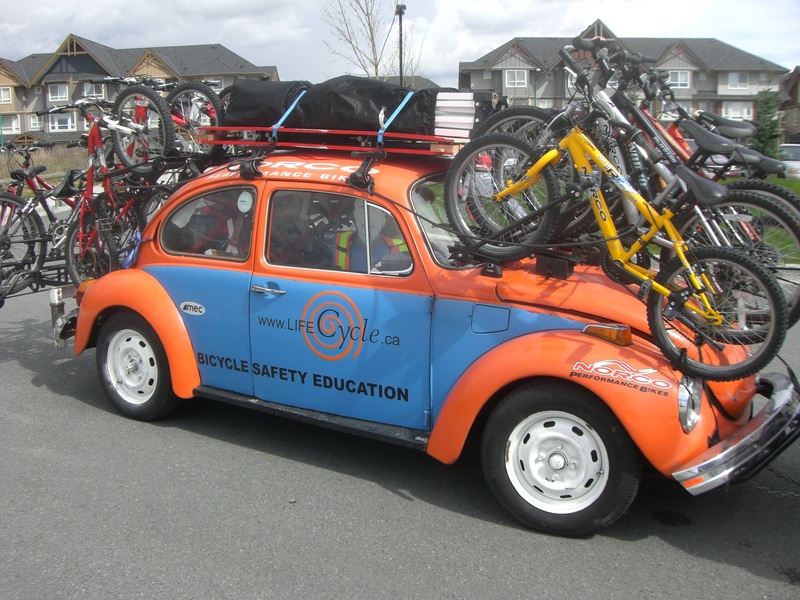 We helped approximately 180 students at Hargrove Elementary practice safe cycling! It was my second time assisting with the Bikewise course by Lifecycle. Getting there was the most difficult part with a rise at 4am. Once we start interacting with the students however, the long cold journey seems worth it.